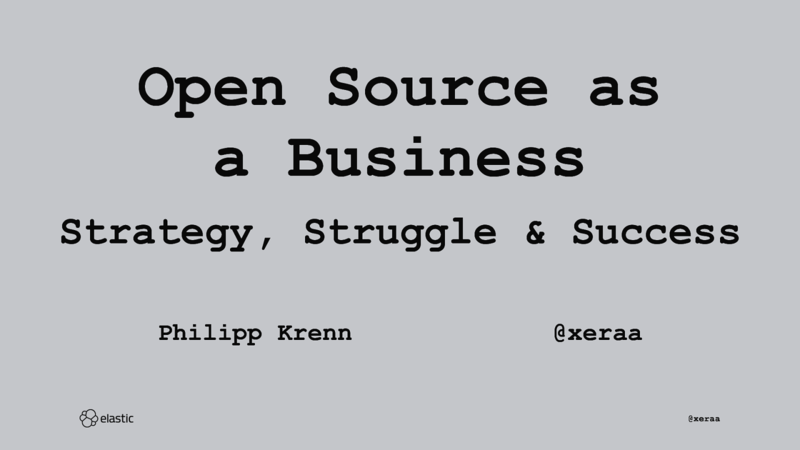 View Open Source as a Business: Strategy, Struggle & Success. How do you build a lasting and successful company that also stays true to its open source roots? This talk takes a look at why open source is important to business and three essential elements of this path: strategy, struggle, and success. We are taking a look at how different open source companies are approaching this challenge, what worked, and what failed.